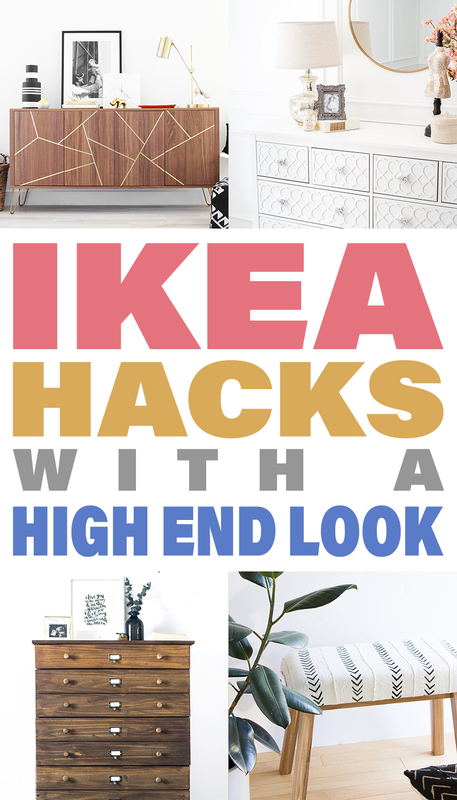 Today we have some totally elevated creations for you… it’s all about IKEA Hacks With a High End Look. It never ceases to amaze me what a piece of furniture that is way under 100 dollars and sometimes $40 can turn out looking like it walked out the front door of a Upscale Boutique! Well it is totally true and here are a few that I think you will enjoy. Take a moment to relax a bit… sip on a cup of your favorite brew and check these beauties out. You almost can’t afford not to make them! Just always remember to put your imagination glasses on… envision the Hack your way and you will probably be on your way to IKEA within minutes! ENJOY and Create friends. 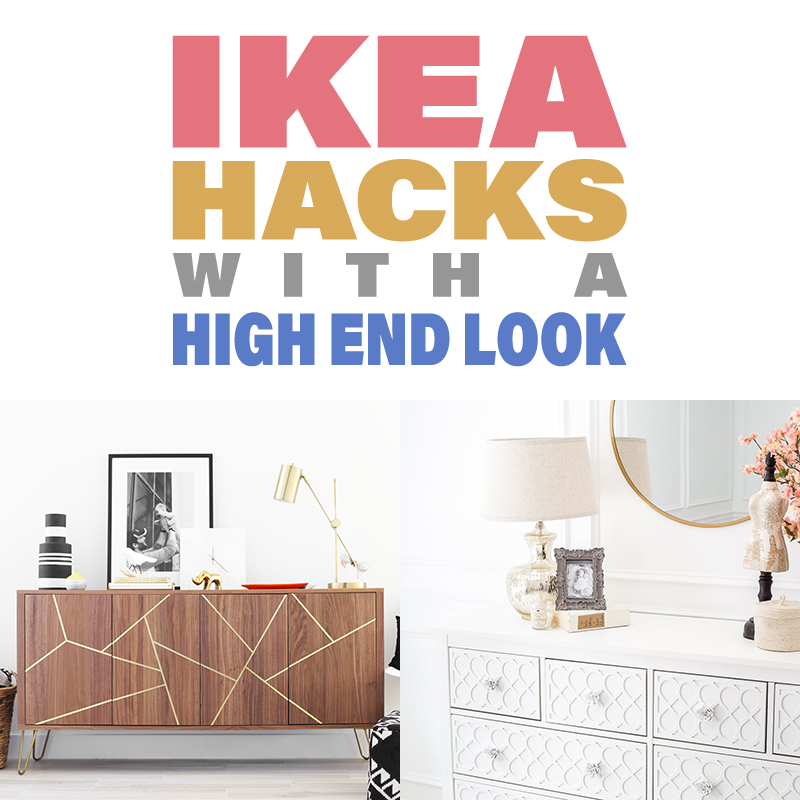 Talk about a high end looking IKEA Hack. You will find this Tarva in all of it’s Contemporary Farmhouse Glory over at Dupetidoux. A tutorial in picture awaits you and in the end your piece looks like it walked out the front door of Restoration Hardware! 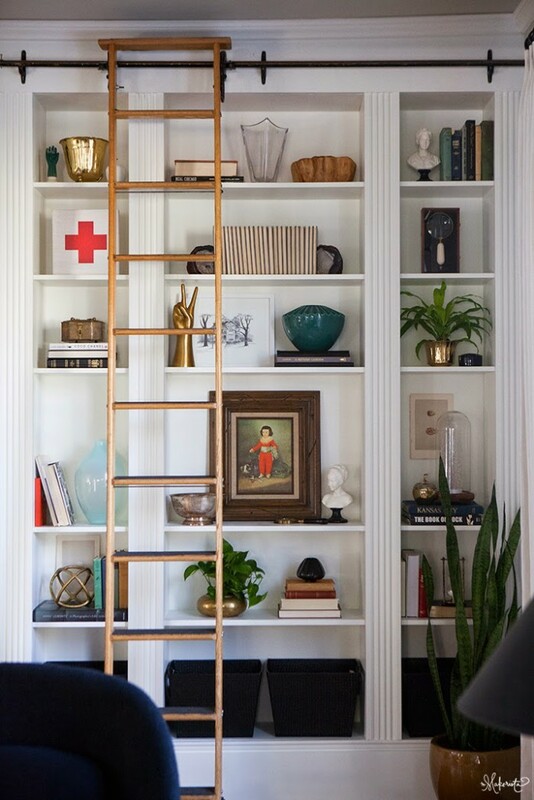 Can you believe these gorgeous Built In Shelves are actually IKEA Billy Bookshelves? Well they are and when you visit The Makerista you will find a tutorial that will show you how to turn them into this magnificent Built Ins…they are truly amazing. 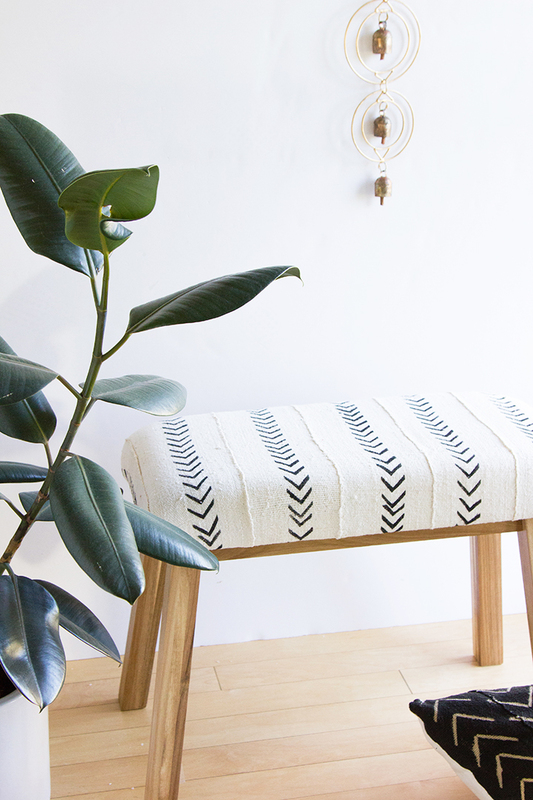 Alice and Lois took a plain SKOGSTA Basic Wood Bench from IKEA and elevated it by upholstering it with this gorgeous Mud Cloth… Take one look at it and you would think that it came from a high end boutique. The possibilities are truly endless for this piece and you can get the basics you need over at Alice and Lois… Enjoy! Here is another IKEA Hack that involves The Billy Bookshelves… can you believe this look? Do you have any idea what this would run you? Well IKEA makes it affordable with tons of help from A Very Street Design where you will get the full DIY. This is really an incredible creation. 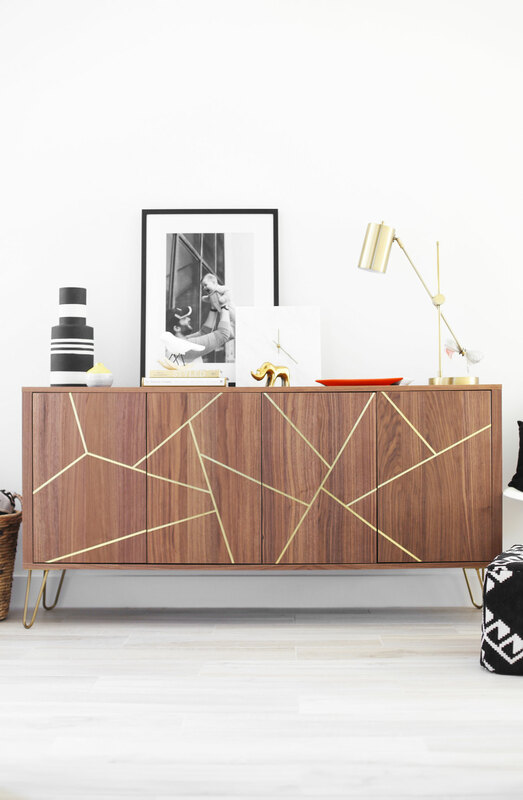 If you love the Mid Century Modern Furniture Look… hurry on over to visit Kristi Murphy. 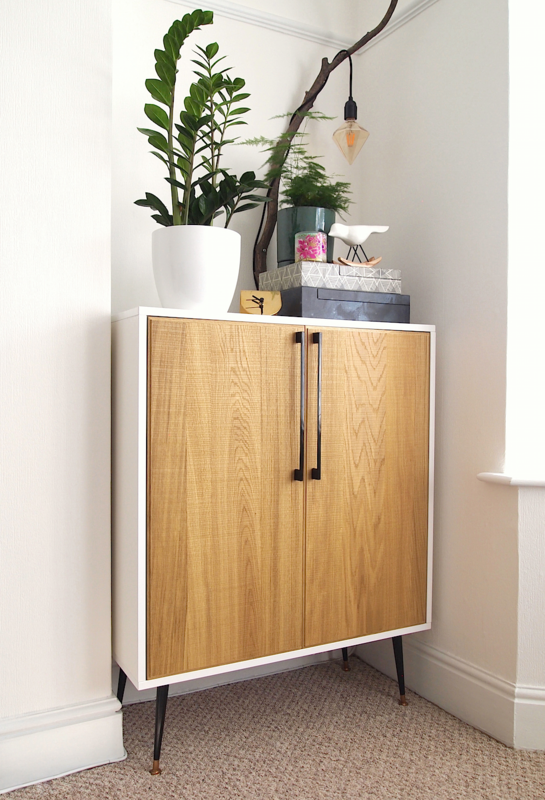 She is going to show you how to transform an IKEA Sideboard into this beauty. She shared with us that there was a West Elm Version of this and it ran $1300… with her tutorial and video it goes from extremely pricey to totally affordable with a little bit of work. Come and see how it is done and maybe this will go on your project list. 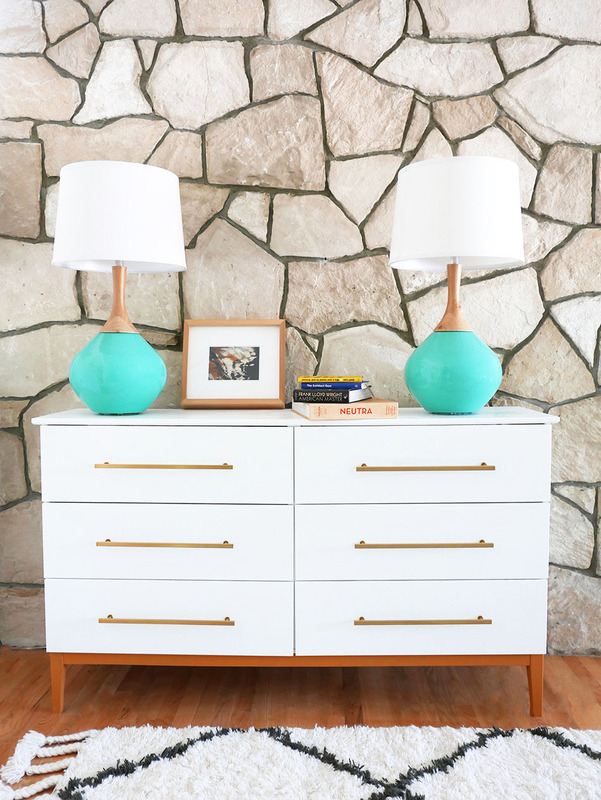 A Vintage Splendor shows us that a Tarva and a good set of legs can create a wonderful Mid Century Modern Dresser! Do you have any idea what you would pay for this one in a high end furniture store! Simple and so effective…get the DIY. I have to tell you that my heart skipped a beat when I saw this beauty. I do believe it was the color which is beyond dreamy but as I looked further I noticed subtle things…mainly the legs! The legs just made all the difference in the Mid Century Modern Design and you are going to be amazed that you don’t have to buy them…you just have to make a small adjustment and they will show you how. In the end you will have the perfect Nursery Piece of the perfect Dresser or Credenza. 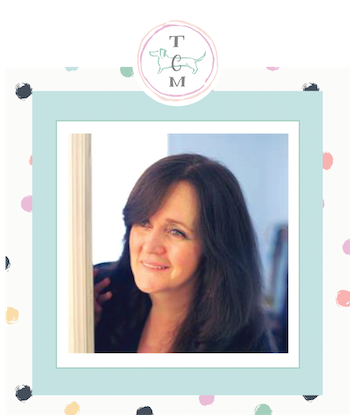 You have to drop by Sarah Sherman Samuel’s blog and see how easy it is and how BUDGET FRIENDLY! Enjoy! 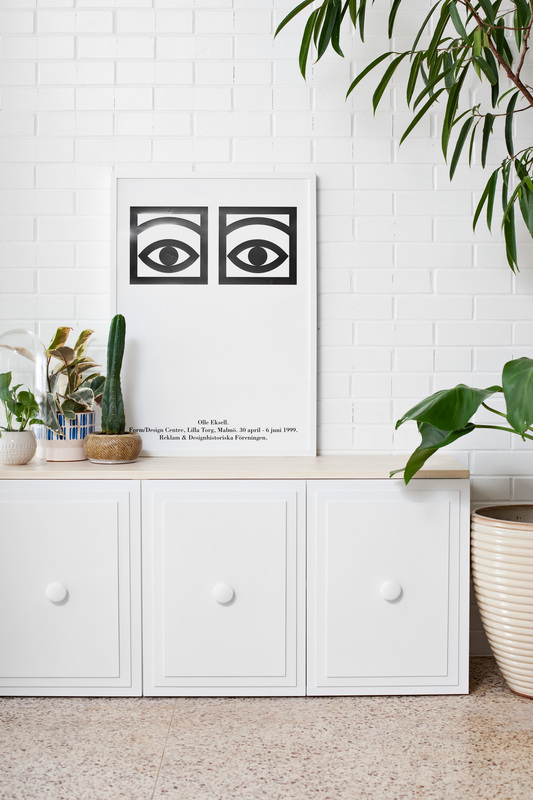 See how Ashley from Sugar and Cloth took a simple IKEA PS Plant Stand and transformed it into a Mid Century Modern Masterpiece! It’s easy and she will show you how. Ok…I know that this is a really expensive hack…but I had to show it to you because it is just too cool not to. 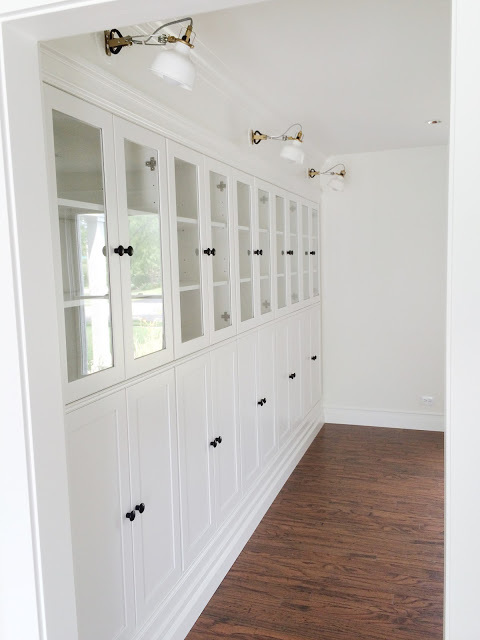 IKEA Kitchen Cabinet Fronts turned into Wall Panels…I mean come on…how incredible do they look! So if you were ever thinking about a wall like this…this could be the easiest way to do it. LOVE IT! A Cup Of Life is sharing a fabulous Tarva Mid Century Modern Style. Looks fabulous and so simple to do…drop by and get the DIY! 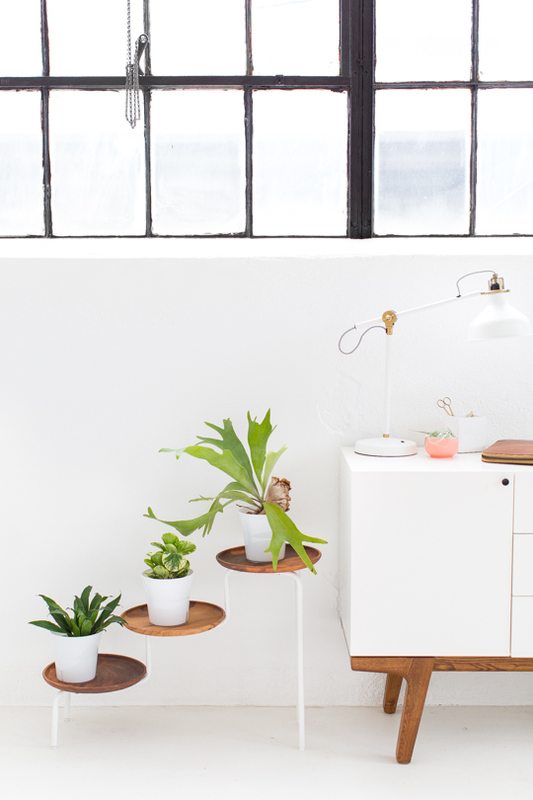 You are going to watch some more IKEA Hack Magic over at A Beautiful Mess. 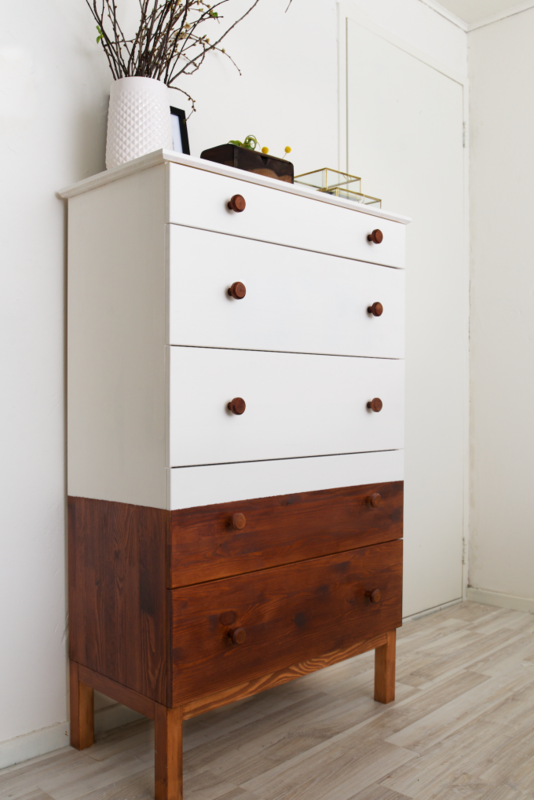 A simple IKEA Sektion System turns into a magnificent piece. It is totally incredible what a wood top…some molding and hardware can do. Check it out… this could be the piece you wanted but couldn’t afford. The Mid Century Modern Style has such a high end look to it and this piece over at First Sense Interiors is no exception to the rule. You can hardly believe that the base was an IKEA METOD Kitchen Wall Unit is the Base to this stunner. Check out the DIY to this beauty! 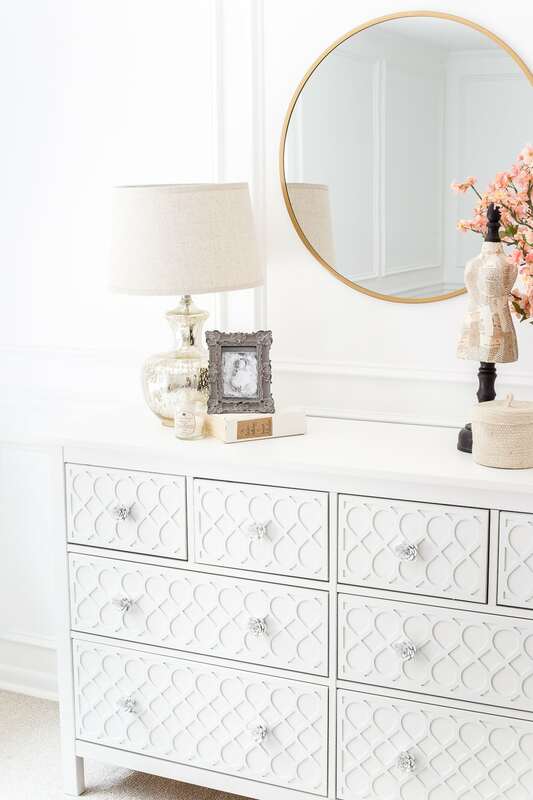 Lauren over at Bless’er House is sharing How to get a high end carved detail look for less… take a piece of plain IKEA Furniture and add Appliqués! It opens a whole new world up. 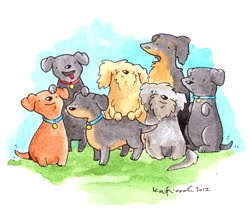 Visit with Beth and she will fill you in on all the details. 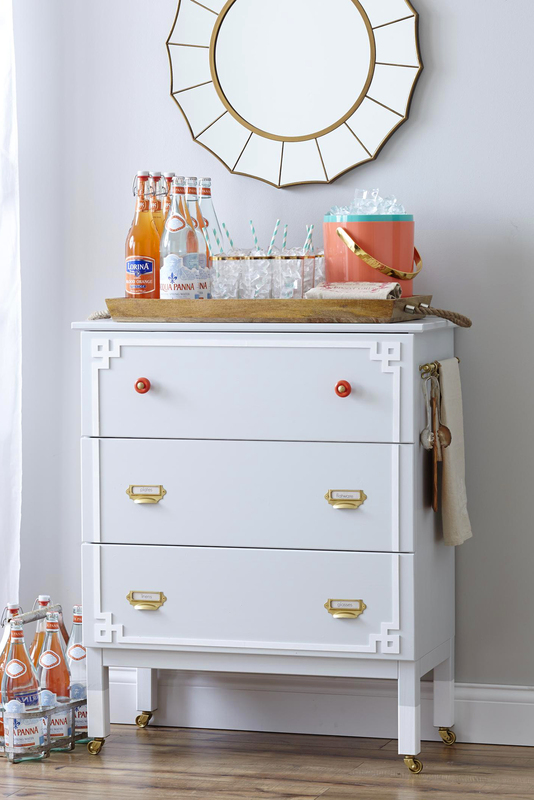 Come and see Jen from City Farmhouse transform a plain wooden IKEA Tarva into an upscale Bar that you are going to absolutely love. 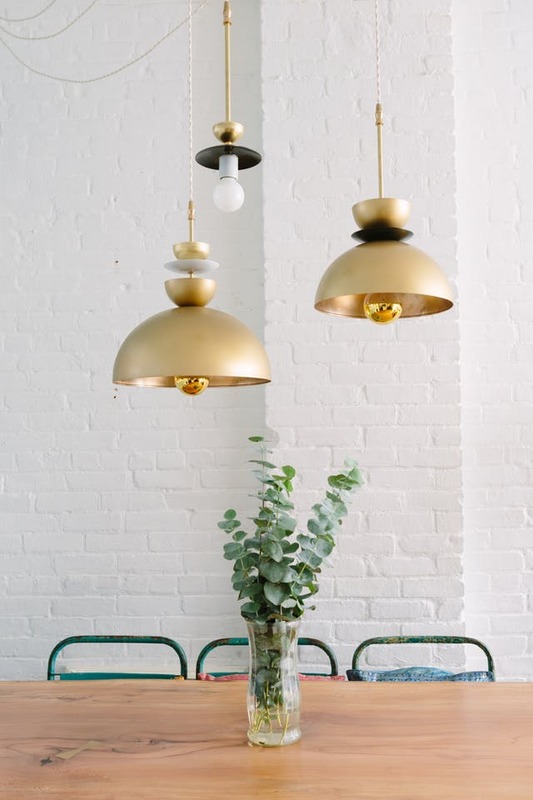 Lights can be very pricey as we all know… so Apartment Therapy is sharing a great tutorial for these Modern Beauties that are made from IKEA Mixing Bowls! Ah what a little imagination can do! Check it out… you can use the base Hack and create them in different colors… brushed silver and so much more… all on the cheap! 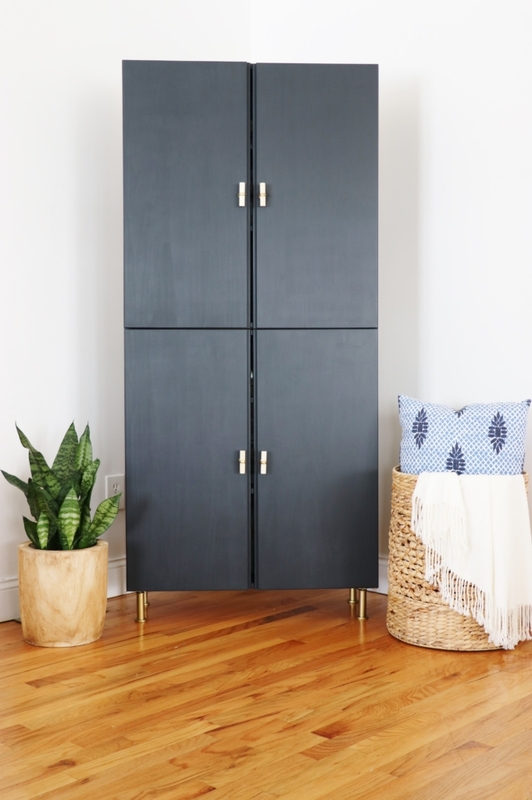 Jen from City Farmhouse is going to show you what you get when you put two IKEA IVAR’s together… you get this amazing High End Library Cabinet on the cheap! How gorgeous is this! See how easy it was to do… you just might want to make this next weekend project.